First cover image of 2013. Landed the shot of a cracked Hollywood Walk of Fame star on this week's LA Weekly cover. Shot the image with my iPhone5 using the Hipsatmatic app. 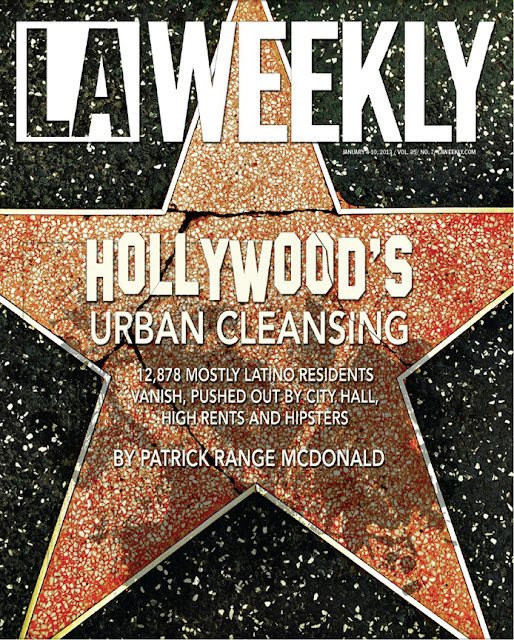 The story was written by Patrick Range McDonald and is about the gentrification of Hollywood, and the population shift and exodus of Latinos to affluent whites.